Available on Audible, Amazon, and iTunes! Listen now to the audiobook of Listen: Five Simple Tools to Meet Your Everyday Parenting Challenges, read by Patty Wipfler. 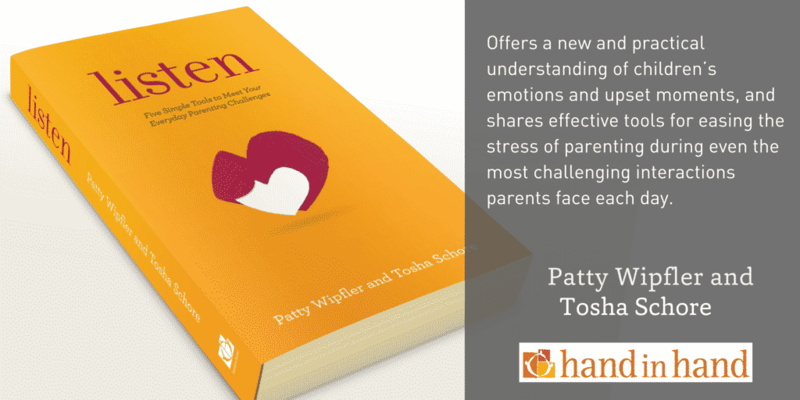 In this wonderful book, Patty Wipfler and Tosha Schore invite us to Listen in to our hearts to create a science-informed, practical strategy for parenting our children well. The Hand-in-Hand approach empowers us to become our best, finding support in others and exploring the important ways we can be secure attachment figures that nurture self-regulation, resilience, and compassion in our children. What a gift that will help our world be a better place for all of us to live! Join our mailing list and we'll notify you when the audiobook is available and send you discounts and helpful parenting ideas. We never share you email. Yes, I want to receive information from Hand in Hand.